With an impending Olympic roster freeze, the eventual trade deadline and countless rumors flying regarding potential deals, the Pittsburgh faithful anxiously anticipate Ray Shero's bolstering of the Pens' roster for another playoff run. And, why not? After all, Shero seemingly never hesitates to pull the trigger on a move aimed at shoring up a weak spot within his squad. And, with the Penguins needing help on the wing, all signs point to the G.M. continuing his almost annual tradition. But as we await the potential trades of the future, I thought I'd take a look at some of the deals of the past. Because, with the likes of Ray Shero and Craig Patrick at the helm, the Penguins have delivered more than a few memorable moves. Indeed, whether it came in the form of acquiring the legendary Paul Coffey, adding the Stanley Cup experience of Joe Mullen or dealing for a first overall pick that brought Marc-Andre Fleury to town, Pittsburgh general managers have pulled off more than a few blockbuster deals. With previous moves that brought the likes of Larry Murphy, Rick Tocchet and multiple Stanley Cups to Western Pennsylvania, I struggled with including this relatively recent transaction. Because, at the end of the day, the jury is still out on the deal's ultimate impact on the Pittsburgh franchise. If the Pens secure their fourth overall Cup in the coming years, the trade may actually move up on the list; if the club fails in that endeavor, the deal likely drops down in the rankings. For now, the 2011 trade makes the grade thanks to what it adds to the Penguins' lineup. 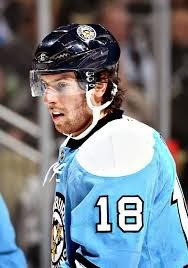 For starters, James Neal has evolved into one of the game's premier sharpshooters thanks to his lethal release. Playing alongside Evgeni Malkin, Neal has emerged as a perennial 40-goal threat. Furthermore, the pair has established a nearly unmatched chemistry, forming one of the NHL's most dominant duos. As if that weren't enough, Matt Niskanen used a fresh start in Pittsburgh to resurrect his career. No, he wasn't initially a significant part of the Pens' blue line and, yes, many considered him a prime candidate to become a cap casualty entering the 2013-'14 campaign. But Niskanen has risen up to help hold an injury-plagued defensive unit together this year, simultaneously providing a veteran presence and enjoying the finest season of his career. If he can sustain this level of play for the long-term (and Pittsburgh can afford to keep him), it's an added bonus to one of the finest trades in Penguins' history. Another move from the current era, this 2009 deal provided a long-term solution to the dilemma of finding a winger to play alongside Sidney Crosby. And, while Tangradi never panned out in Pittsburgh, Chris Kunitz developed into more than the Penguins could have ever hoped for. No stranger to playing with star players upon his arrival in the Steel City, Kunitz provided Pittsburgh with someone capable of meshing with both Geno and Sid. Ultimately, he found a home flanking Crosby, where he evolved into a star, himself. Providing a physical presence and a goal scorer's touch, Kunitz has aged like a fine scotch, becoming a key contributor to the Pens' potent attack and earning a spot on the ultra-talented 2014 Canadian Olympic team. Unlike the Neal/Niskanen deal, though, the Kunitz acquisition already played a part in delivering a championship to Pittsburgh. Though he hadn't yet blossomed into the offensive force that he serves as today, Kuni chipped in 14 points in 24 games during the '09 playoffs as the Penguins captured their third Stanley Cup in franchise history. When the Penguins acquired Tom Barrasso from the Sabres in 1988, they brought in the kind of goaltender they needed to eventually compete for a Stanley Cup. The only goalie to ever jump straight from high school to the NHL, Barrasso proved he belonged during his rookie year, taking home both the Calder and Vezina Trophy. Playing behind an offensive juggernaut in Pittsburgh, the goaltender provided the Pens with the kind of big-time play between the pipes that allowed him to shine en route to the Pens' first two Cup triumphs. Indeed, his propensity for making key saves at crucial times played a major role in the club's back-to-back championships. In the end, Barrasso became the first American-born goalie to collect 300 wins, 226 of which came with the Penguins. Though he has since been surpassed by Fleury, Barrasso departed Pittsburgh as the team's all-time leader in wins. 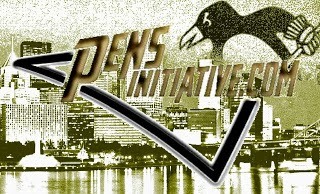 This deal proved significant not only for what it brought to the Penguins on the ice but also for what it symbolized. Because, when Shero landed the league's biggest prize at the '08 deadline, it immediately transformed Pittsburgh from an up and coming team to a legitimate Stanley Cup contender. 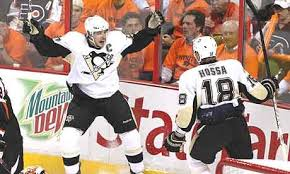 In the short-term, an injury to Crosby prevented he and Marian Hossa from joining forces as early as anticipated. Once they did, however, the pair proved nearly unstoppable as the Penguins breezed through the Eastern Conference playoff bracket. Though Pittsburgh eventually came up two wins shy of capturing hockey's Holy Grail that year, it was apparent Shero had acquired the perfect compliment to Sid's game as the duo finished second and third in playoff scoring. And, despite the fact Hossa spurned the Penguins that summer for what the winger considered greener pastures, Pascal Dupuis stuck around, providing the Penguins with one of their most versatile players. In the years following his arrival, Duper developed into one of the team's best penalty killers, a tenacious winger and a part of what arguably became hockey's most effective trio. For his part, Ron Francis provided the Pens with a versatile second-line center, someone who could not only provide offense but also play a responsible two-way game and dominate on draws. Meanwhile, Ulf Samuelsson provided a nasty streak on the blue line that the Penguins sorely needed while Grant Jennings brought a solid defensive game to the table. With each member of the trio delivering his own element to Pittsburgh, specific weaknesses within the lineup were addressed and, as a result, the team went on a tear to end the season. After finishing the year 9-3-2 and capturing the franchise's first Patrick Division title, the Penguins went on to claim their first Stanley Cup, a championship they would successfully defend the following year. And, while all three played intricate roles in the Pens' success of the early 1990's, it was Francis' career that really took off in the Steel City. In 533 games, he put up a whopping 613 points; furthermore, he registered another 100 points in 97 postseason contests, becoming one of the most celebrated players in Penguins' history. Perhaps that's why that 1991 trade with the Hartford Whalers represents the most celebrated trade in franchise history.